Clash Of The Transpo Startups: Who's Winning, Grab Or Uber? In the battle for customers and affordability among ride-sharing startups in the Philippines, Grab, which hails from Kuala Lumpur, seems to be ahead of San Francisco's Uber. 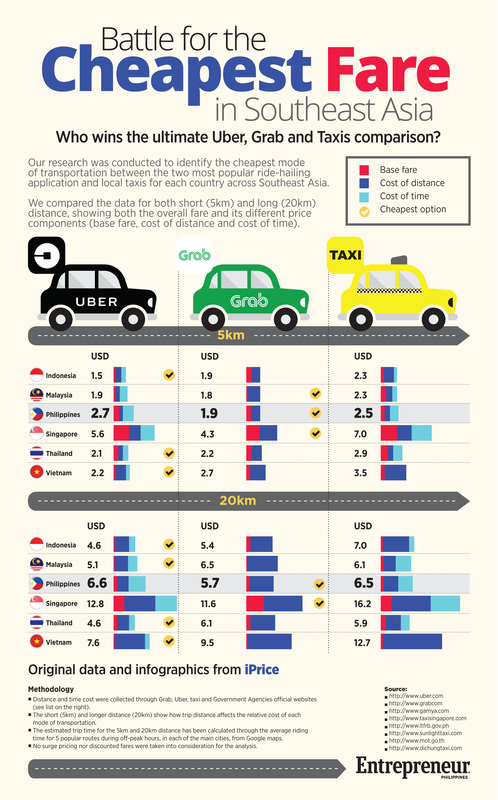 According to recent research by iPrice, a price comparison site, the cost of doing a five-kilometer trip on Grab in Manila is about 30 percent cheaper compared to Uber. In a recent test, iPrice found that it cost just $1.9 to cover five kms on Grab while a similar trip cost $2.7 on Uber. Travelling 20 kms via Grab also costs 13 percent less than Uber. The trip costs just $5.7 on Grab compared to $6.6 on Uber. For both 5-km and 20-km trips, Grab's rates are also cheaper than the average taxi fare, according to iPrice. But Grab's slight edge in market reach comes at a hefty price for the Southeast Asian tech company. MyTaxi.PH, Inc., the local firm running the Malaysian brand Grab, reported a net loss of Php2.2 billion in 2015, up from a loss of Php254 million the previous year, according to the company's financial statements on file with the Securities and Exchange Commission (SEC). In contrast, Uber Philippines reported a net income of Php5.9 million that year, almost four times the previous year's level, its financial statements showed. In comparison, Uber Philippines reported a lesser topline of Php218.4 million from sale of services. However, its costs and expenses amounted to only Php204.9 million, of which the biggest item is Php72.5 million representing the cost of mobile devices, fees and accessories. It is followed by personnel costs of Php51.1 million and rent expenses of Php19.9 million. It remains to be seen how the two companies performed financially in 2016; the results won't be in until the second or third quarter next year. 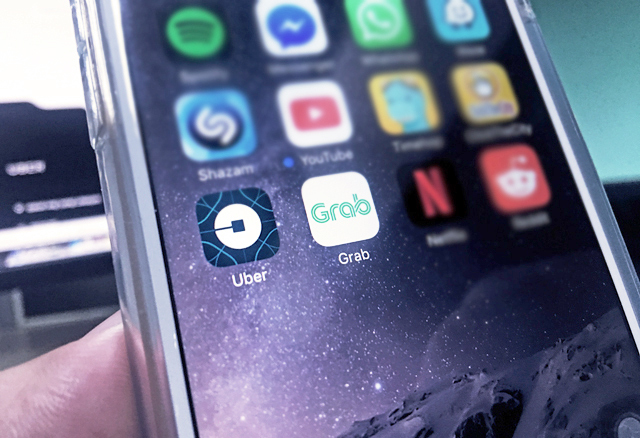 Meanwhile, the battle for market share continues, with Uber eyeing expansion in Philippine areas such as Davao, Baguio and Pampanga. "There’s Clark airport in Pampanga. We also want to service that," said Cua. "There are a lot of options, it’s just a question of timing."